Our tractors are built to last with durable components - all-steel hoods and seat pans, long-life engines, transmissions and serviceable arbor and shaft assemblies. A day's work doesn't have to take all day. The Legacy XL™ combines the toughness of a compact tractor with the comfort and control of a garden tractor, giving you the power and reliability you need to get big jobs done with one machine. Shift between 2WD and 4WD on-the-go, and choose from a long list of tractor attachments available at your neighborhood Simplicity® Dealer to accomplish any task. The front quick-connect hydraulics and category 1 (modified), 3-point hitch make attaching attachments easy. 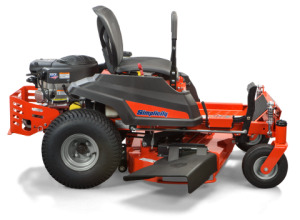 Plus, the exclusive Free Floating Mower Deck™ (sold separately) gives you the beautiful lawn you’ve come to expect from Simplicity® Mowers. Easy to use twin steering levers for precise maneuverability. 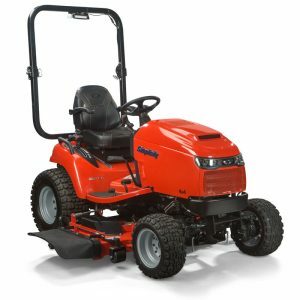 Commercial inspired components and features such as fabricated decks, powerful engines, transaxles and drive systems for years of performance and durability. Suspension systems to keep the ride smooth, allowing for increased responsiveness and more operator comfort (select models). 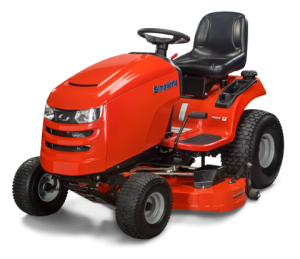 Products only sold through local independent servicing dealers, who will help you find the mower that's right for you. Integrated rear cargo bed* for Courier™ and Contender™ Zero Turn Mowers offers added utility around the yard. 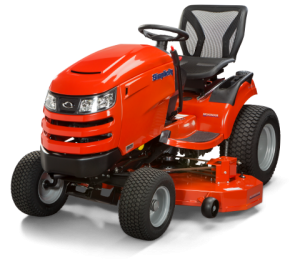 Commercially-inspired features such as durable Hydro-Gear®Transaxles and a tough Briggs & Stratton® Engine make the Contender™ a powerful performer that leaves behind an impressively cut yard for all to see. With new levels of versatility, the integrated cargo bed† adds additional on-the-go convenience for the operator to carry tools, plants and more.